The fall provides us with lots of natural materials and warm colors that we could use for our home decoration. Search in the park, forest and garden and you’ll see for yourself. 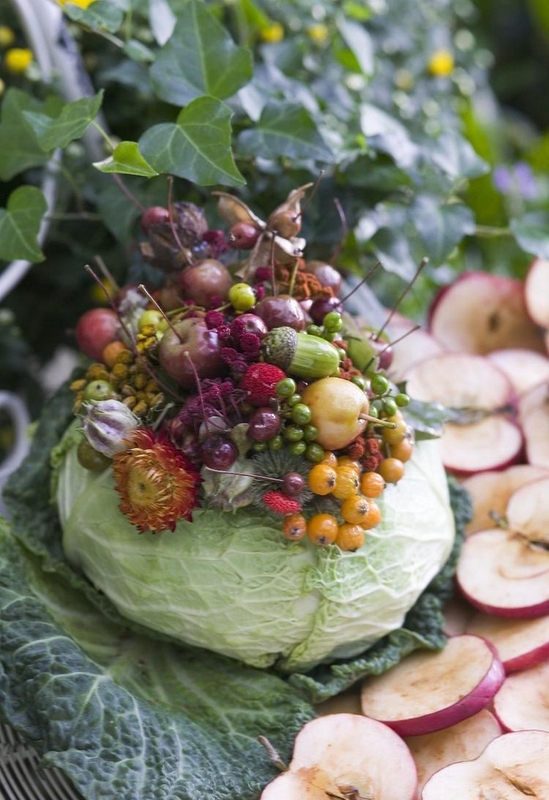 The today’s project is about a DIY fall table centerpiece that features an arrangement of flowers and vegetables placed in a cabbage vase. Let’s see how it’s done! 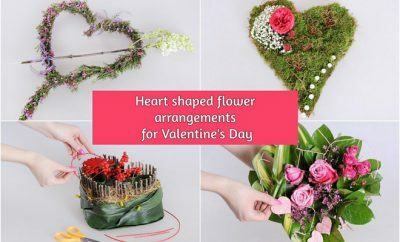 Floral-fruity arrangements have existed for centuries. They have appeared on famous paintings and even had their secret symbolism. We’ve seen blooming irises, peonies beside grapes and lemons. 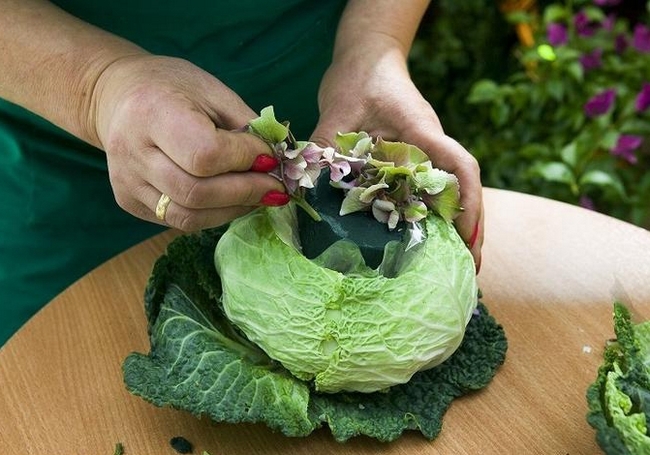 But until now, no one has thought about a cabbage accompanying floral compositions. This DIY centerpiece proved that this arrangement is not only sophisticated, but also completely non-toxic. 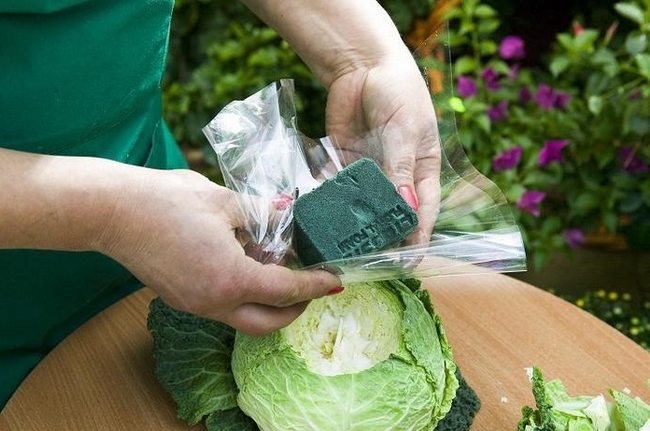 Cabbage unlike many other fruits does not emit ethylene, which harms the flowers. So why let’s make a nice and abundant home decoration in this fall! 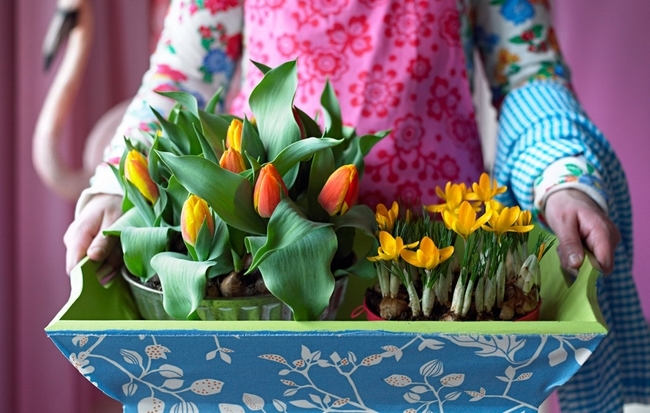 Autumn is the perfect time for arrangements that not only include flowers. 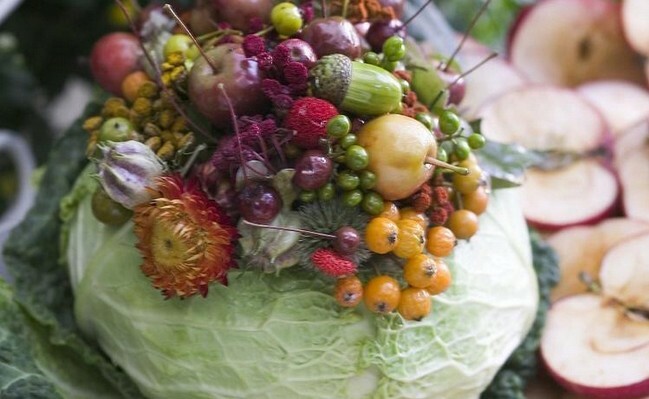 We encourage you to use fruits and vegetables as well even when they serve as an original vase. 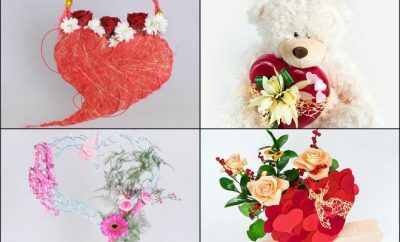 Choose such species that fit well together in terms of color or shape. Different greens such as Broccoli, Celery, grapes, limes, peppers and pears look beautifully together. 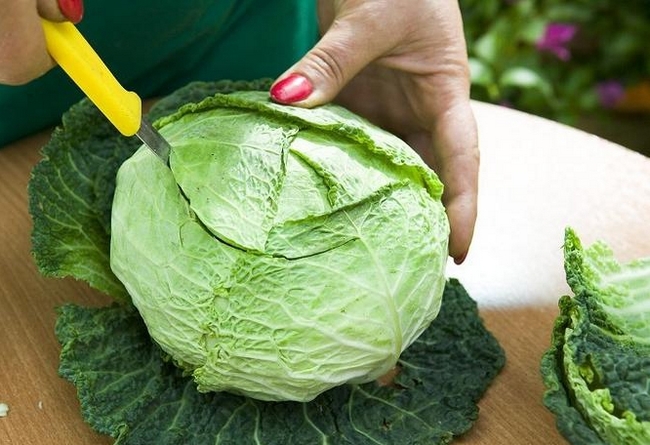 Begin by cutting a hole in the cabbage. 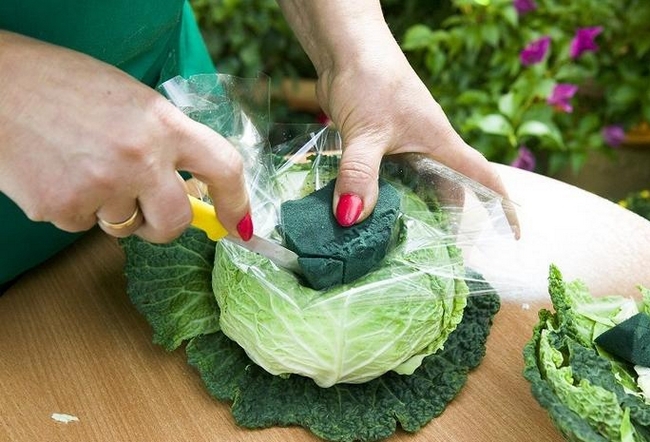 Put inside the soaked floral foam wrapped in cellophane. Make sure you’ve cut the foam to the shape and size of the hole. Cut off the excessing edges of the cellophane. 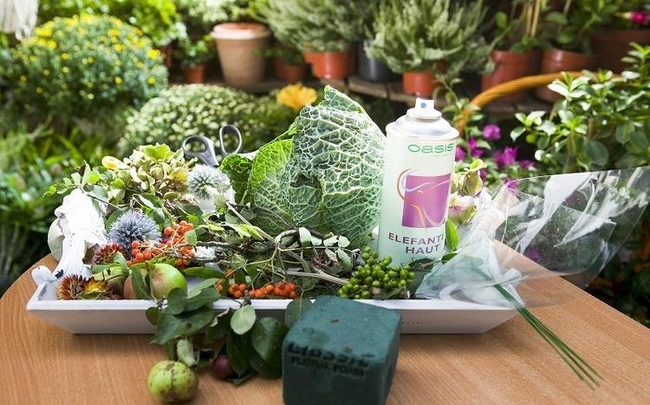 Arrange the flowers and fruits by sticking them in the floral foam. If your supplies don’t have stems or twigs you can use toothpicks. 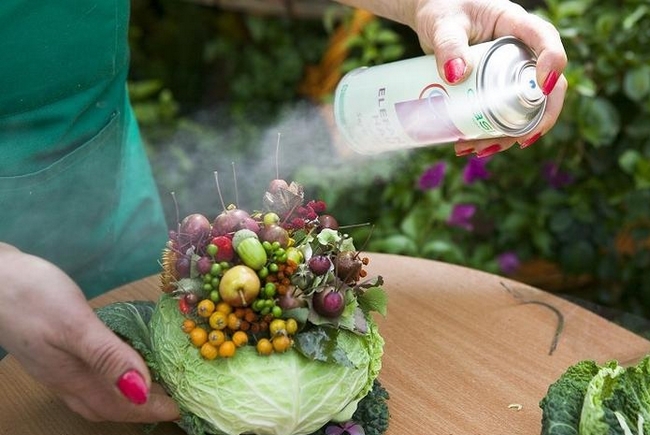 Spray the fall flower arrangement with lacquer, which will let the fruits shine and keep the flowers longer fresh. Our DIY fall table centerpiece is ready!